Designgreen is a trainer for the Chesapeake Bay Landscape Professional Certification. The Program offers a system of curated materials and instruction across the region. It is creating a professional network of certified landscape designers with a stewardship credential. This hands-on course blends classroom and field activities to prepare for the CBLP exam Join us to expand your knowledge-base and make new professional connections. 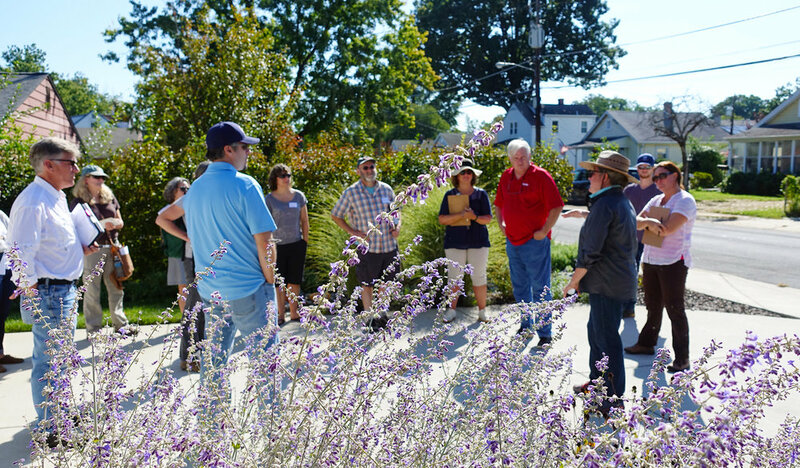 Distinguish your expertise in conservation landscapes and stormwater management, become a CBLP.